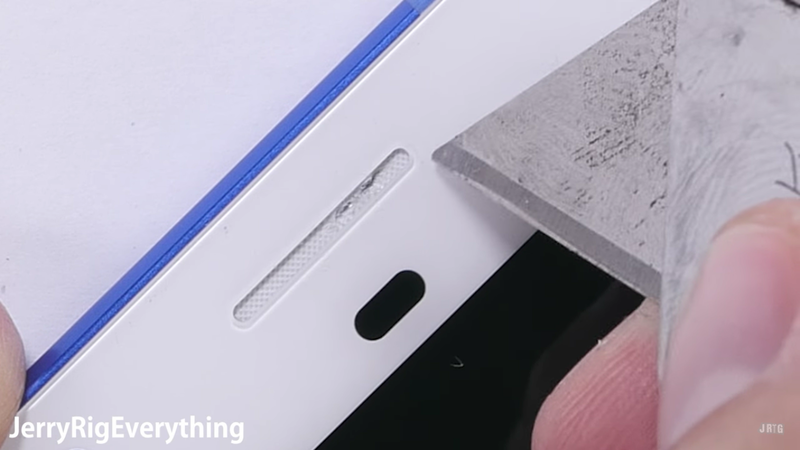 In opening the device, iFixit has qualms at how the Samsung OLED panel has no internal support and is separated from the front glass a little too easily. 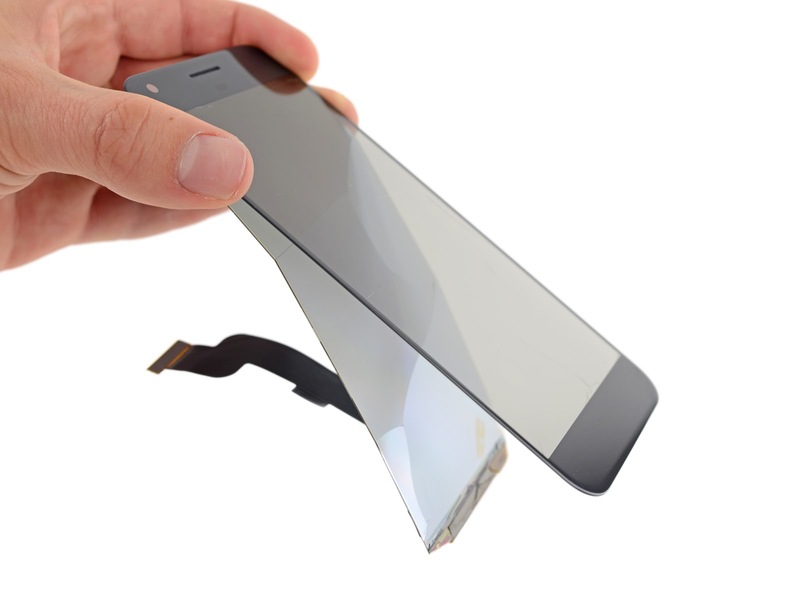 As the initial opening procedure requires prying, it is extremely difficult to open the phone without damage to that component. 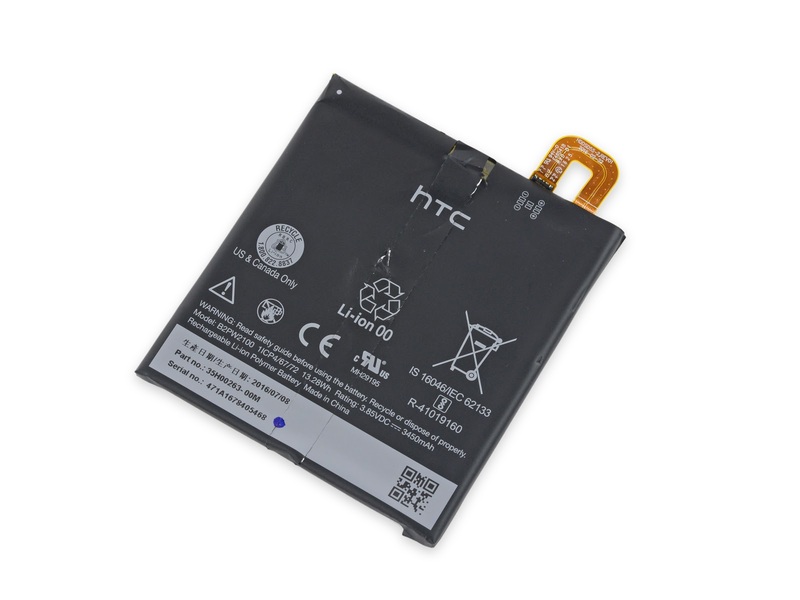 The 13.28 Wh battery is one of the few places where the HTC logo is present on the XL and is rated lower than both the Galaxy Note 7 at 13.48 Wh and the 13.86 Wh one on the S7 Edge. The 4GB of LPDDR4 RAM and 32GB UFS 2.0 internal storage is also made by Samsung, while Qualcomm supplies the majority of the other chips, including the Snapdragon 821 processor, likely unused Quick Charge 3.0 chip, and various antennas. 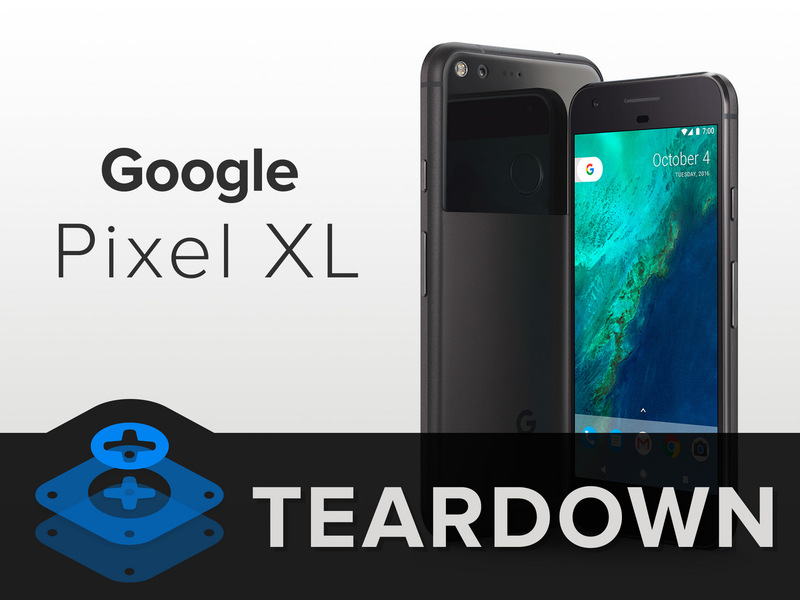 Like with the Nexus 5X, most of the internal components are modular and can be replaced independently. As common failure points like the USB-C port can be inexpensively replaced. Also, JerryRigs reveals that the front speaker grill is actually made of cloth, which leads to difficulty in cleaning and possible puncturing. iFixit applauds the use of modular components, standard T5 Torx screens, and tabs that allows for easy removal of the battery. However, this is only possible after removing the display assembly without breaking it. 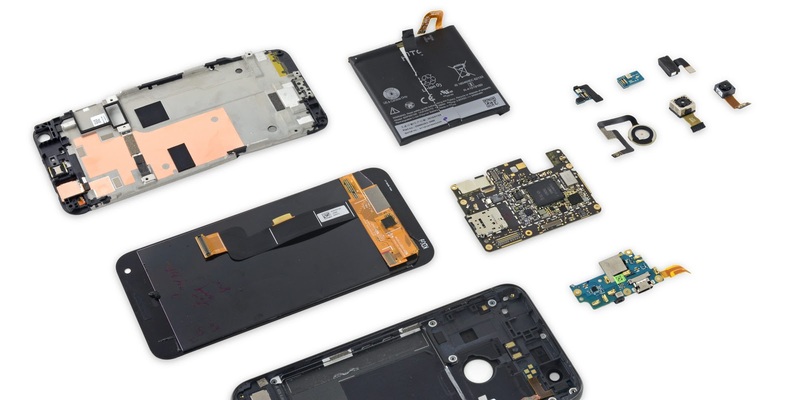 With a 6/10 repairability, iFixit notes that is actually better than any previously scored HTC device.